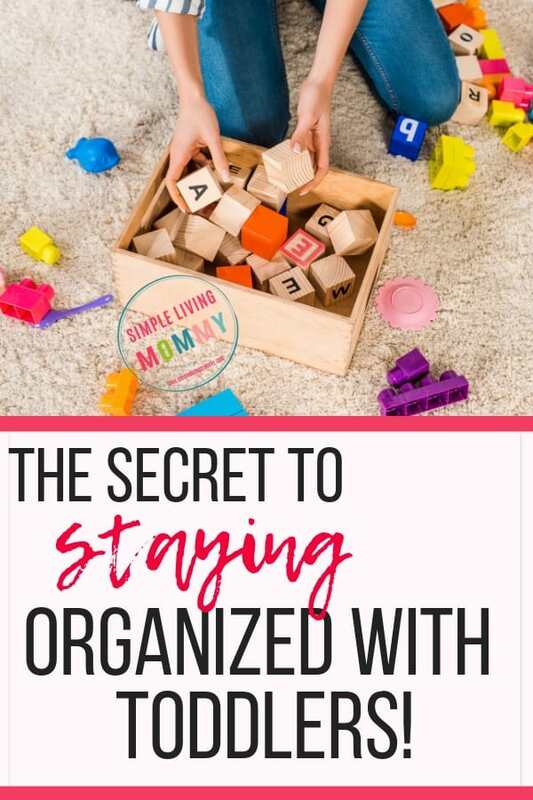 It can feel like an uphill battle against your family to keep your house organized with toddlers. Believe me, I get it. When you boil this problem down, there is really only one thing you need to do to keep your house organized at all times. The number one secret to keeping your house organized at all times is simply this have a place for everything. It’s a well-known fact that you need a place for everything and everything in its place. Where Do You Start Organizing? Just think about it when you look around your house and all of your stuff and your clutter. The most stressful part of it all is not knowing where to begin. Why do you not know where to begin? Because you have no idea where to put everything. If literally every item that you owned had a spot in your home that you knew was its designated spot, it wouldn’t be nearly as stressful to clean up. All you would be doing is putting things from one spot into the rightful spot moving things from one place to another. 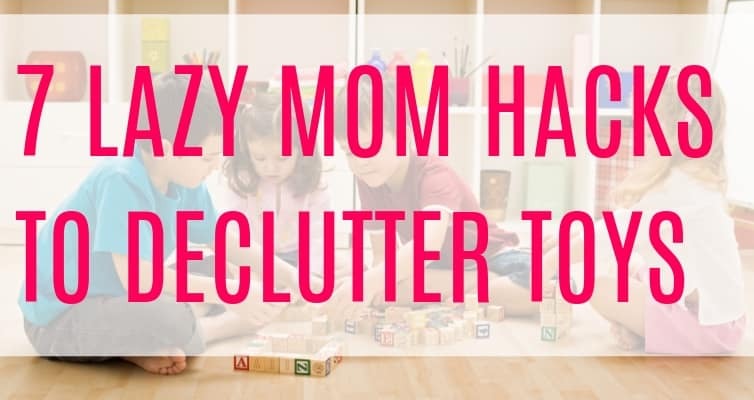 Doesn’t that take so much of the stress away from cleaning and organizing? In most cases the most stressful part of cleaning and decluttering are the choices you have to make. Trying to figure out a place for random things to go in your home when it seems like your home is already busting at the seams. That’s when you just start wandering around, getting distracted, and eventually end your decluttering session with absolutely nothing accomplished and a heart full of frustration. This is where the importance to purge your belongings comes in – but we’ll get to that in a second. This is also where you learn the secret to avoid getting overwhelmed in the future. You ALWAYS think about where an item will go in your home before you bring it home with you. Sometimes this involves getting rid of something and making room for the new. It sounds so cliche, but it’s all about being intentional about your possessions. Why wouldn’t you be? It’s your home. It’s your stress level. Be protective of the space in your home. One of the biggest keys to avoiding overwhelm in your home is to only keep possessions that you honestly use and love. I’m not suggesting you become a minimalist here, unless that’s the journey you want to take. A much better way to purge your belongings is to really pay attention as you put things away. Do you know where it goes? If not, it doesn’t have a spot in your home. Do you really need to keep it? Go through your entire house and just LOOK at your clutter. Drag a box around with you if you have to and throw anything into it that you honestly don’t have a home for. Decide instantly where the home for this item can be and take it there or put it in a pile to quickly put away. If you take your time with this process, you’ll start to talk yourself out of getting rid of things you don’t actually need. 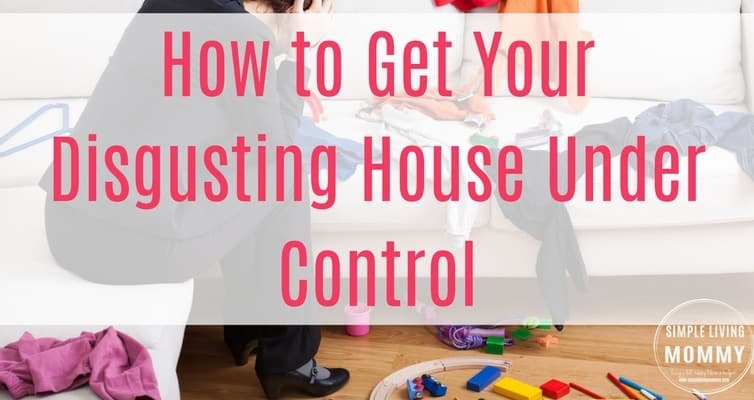 It’s SO much better to move as fast as you can, make quick decisions about the things to get rid of, and take all of that stress out of your home. Try to think of excess possessions as stress. Excess possessions don’t equal more happiness. They equal stress. Kids learn FAST and they will learn where their toys belong without any labeling if you reinforce it a few times. To make things easier, take a quick picture of any toy and tape it to the bin or shelf where the toy belongs. This is great for young toddlers. We also try to limit the amount of toys our kids take out at one time. This is an obvious struggle every parent of young kids goes through and sometimes it isn’t a battle worth fighting. Still, when I tell my son he isn’t allowed to play with his blocks until his Lincoln Logs are picked up, he feels that sense of responsibility to pick up his mess. Enter the pleas to “help” him pick up his Lincoln Logs while he goes ahead and plays with the blocks anyway. I taught my toddlers to speed clean and it’s the best practical skill they’ve learned so far. I set a timer for 5 minutes and tell them we’re going to surprise daddy with how clean we can make the living room look before he gets home. We’ll send him a quick video on Marco Polo of the before, set a timer, and clean like crazy for 5 minutes. When I help my toddlers speed clean our living room like this, we can tackle the whole thing in under 5 minutes. My 3 year old will actually finish picking up all of the toys by himself. Watching the pride they get when they show their daddy what a great job they did cleaning makes all of the arguments worth it. Finally, minimize the amount of toys they have out by implementing a toy rotation system. I wrote this post about our easy toy rotation system and it still works in our house! 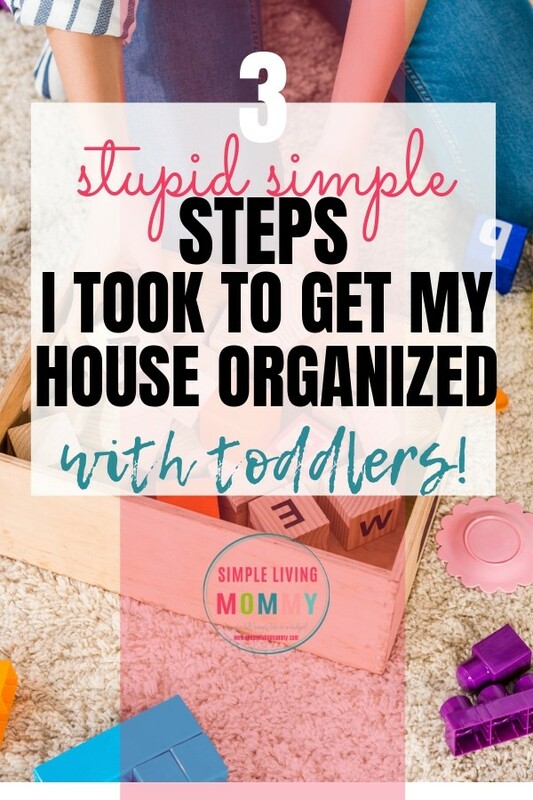 So it’s no secret by now that I absolutely LOVE speed cleaning and in my honest opinion, that’s half of the secret to keeping your house clean with toddlers. The other half is to set a time goal and stick to it. How long do you want to spend cleaning every day? 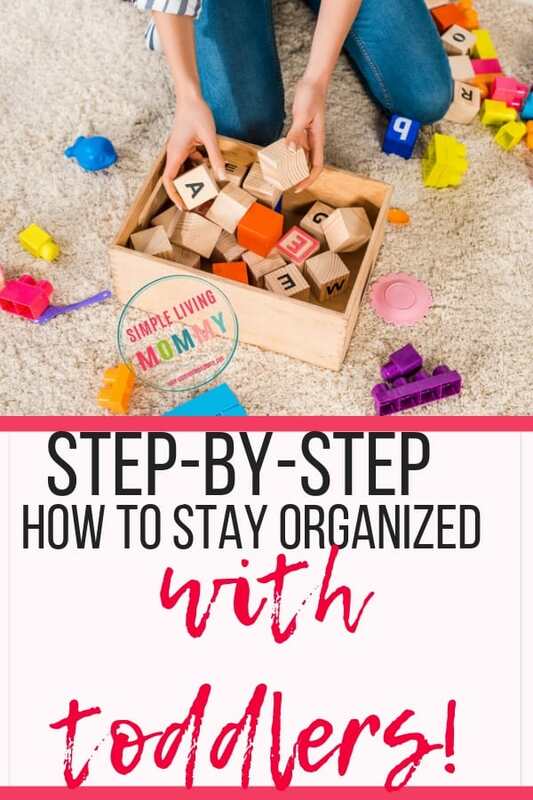 Not in an ideal world, but in your current crazy world with young kids, how much time do you want to commit to cleaning and organizing each day? For me, it’s 5 minutes per room. I feel like I can do a quick clean of any room in our home and in about 5 minutes, I can take that room from war zone to company-ready. That doesn’t mean I don’t do other things during the day like a load of laundry or load the dishwasher. 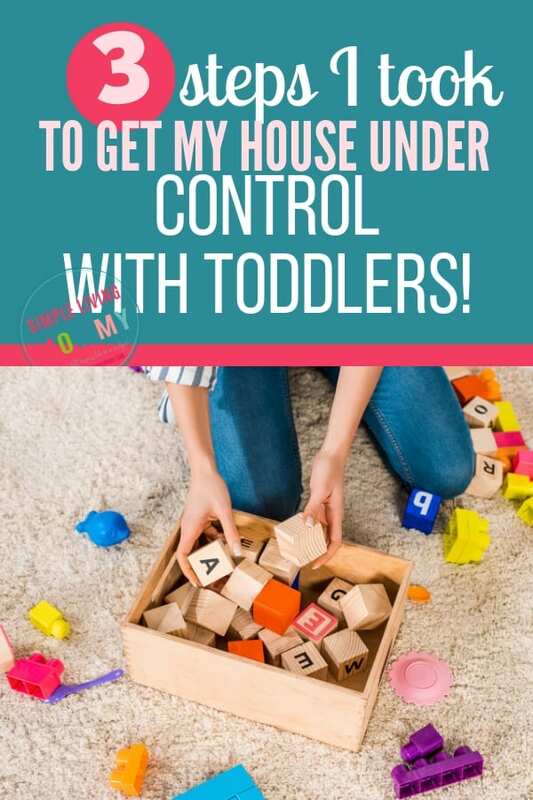 It just means that if our living room or play room are completely destroyed and every toy in that room is out – I can put every single thing away in just 5 minutes. Once I decided on that number, I would set a timer and go crazy cleaning for 5 minutes. If I can’t pull off straightening an entire room in that 5 minutes, it means there’s simply too much stuff in that room and some of it has to go. First, you’re going to declutter by quickly tossing all of the things that don’t have a home in your house or value in your life. Second, you’re going to assign a home to each of your possessions. Remember, this doesn’t mean picking up every single item you own and deciding on a home for it. It simply means deciding in your mind where this stuff is going to go and putting it there when you clean up. Finally, decide how long you want to spend cleaning each day and time yourself cleaning. If you can’t tackle the whole room as quickly as you want to, you have to be willing to clear some stuff from the room to make it possible. 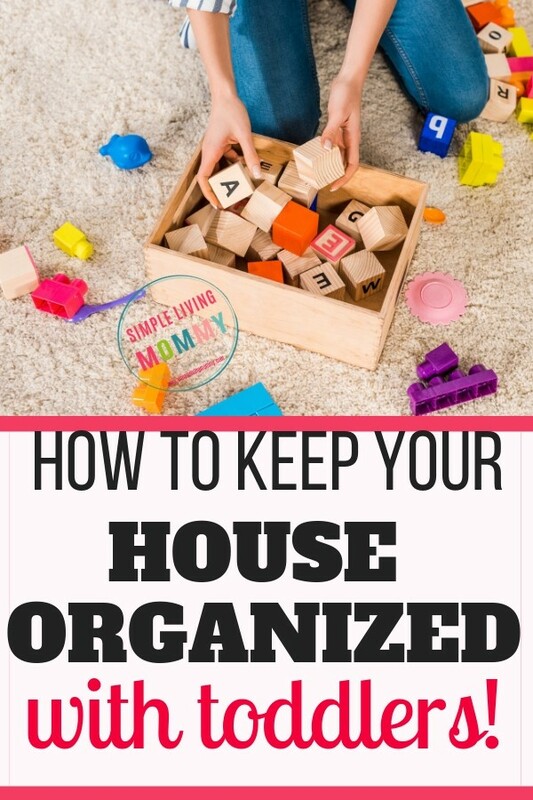 Listen, trying to keep your house organized with small kids is a huge uphill battle. 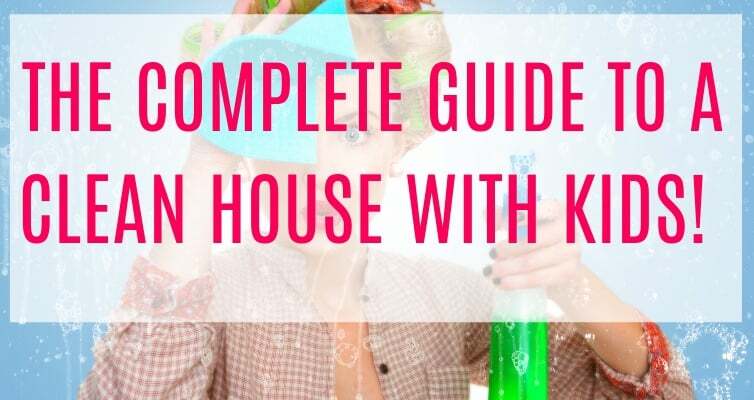 Always remember that your kids won’t remember how perfectly organized the house looked. They’ll remember the quality time they spent with YOU. That’s why I recommend speed and minimizing the stuff in each room so you can feel good about the state of your house while also feeling good about the quality of your time with your children. Progress over perfection. Keep going! You’ve got this! 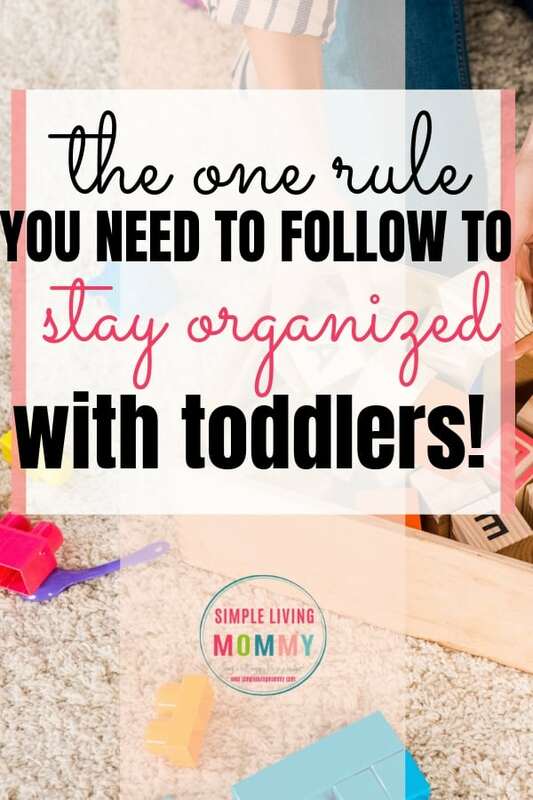 Do you feel like your house stays organized even with small toddlers at home? What secrets can you share with other mamas with the same goal? Let me know in the comments!